I have my ticket and I’m going back to see Anthony Rapp in “Without You.” He is doing his one-man show from September 9 to 13, 2015 at the Carling-Sorenson Theater at Babson College just outside Boston. I encourage you to go and be part of something incredible. I went twice in 2012 when he came to Massachusetts. I wrote about it here (below). His story and his message have stuck with me ever since. Years later, I continue my life as Mark, still trying to live, while others live and thrive around me. I went to see Anthony Rapp tonight in Boston at his one-man show, “Without You,” at the Modern Theatre at Suffolk University. It was incredible. I’m going back on Sunday to experience it again. The timing of this is a bit serendipitous. I’ve been a huge fan of “Rent” for many years, and particularly of the character played by Mr. Rapp. There is something about Mark that reminds me of my own self and the relationship I have had with my daughter Patricia as she has struggled over the years. This week, I am finishing up my book, a memoir about those difficult times. Unlike “Rent” and AIDS, mine is about mental health, another difficult, but just as taboo subject. For some reason, “Rent” and Mark have found their way into its pages. Twice. As I was leaving for the theater tonight, the UPS guy showed up with some new uncorrected book proofs. I thought for a second about bringing one and trying to figure out how to give it to Anthony — maybe he’d like to read it — to see how his story fits into ours. But I quickly dismissed it — he’s just an actor. He’s not Mark. But as I sat there tonight, it occurred to me that Anthony, in telling his story, was doing the same thing that Mark had done in “Rent.” He helped us live as he watched others live. And in doing so, Mark (and Anthony) got to live, too. Anthony was alive on stage tonight. In his music and stories, he brought with him those same feelings I’m drawn to in the “Rent” experience. Thank you, Anthony, for letting me live tonight, too. Shining a light on mental health. Join us in Worcester as Patricia and I talk about our experiences in the mental health system and its effects on us. This talk is the first of a planned series of public conversations on mental health issues from a first-hand point of view to take place at the Kiva Center of the Central Mass Recovery Learning Community. Friday, May 29, is the 2015 PPAL Conference in Marlborough, Massachusetts. Patricia and I will be presenting at a morning workshop. We hope to see you there. This is a big deal for us. Two important milestones will be occurring. First is that continuing education credits are available for those attending the conference. Somehow this makes us all the more legitimate; maybe even more so than speaking with a class of Psychology majors at UMass Amherst in February. Second is that our talk is being translated into Spanish to make it accessible to more of the conference participants. This should be interesting. We are looking forward to a great day. 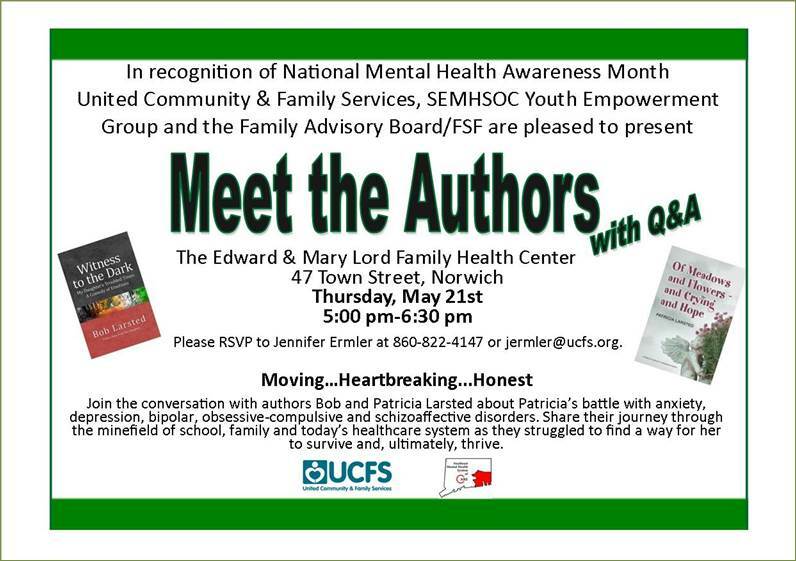 Patricia and I will be speaking tonight in Norwich, Connecticut thanks to United Community & Family Services, the SEMHSOC Youth Empowerment Group, and the Family Advisory Board/FSF. 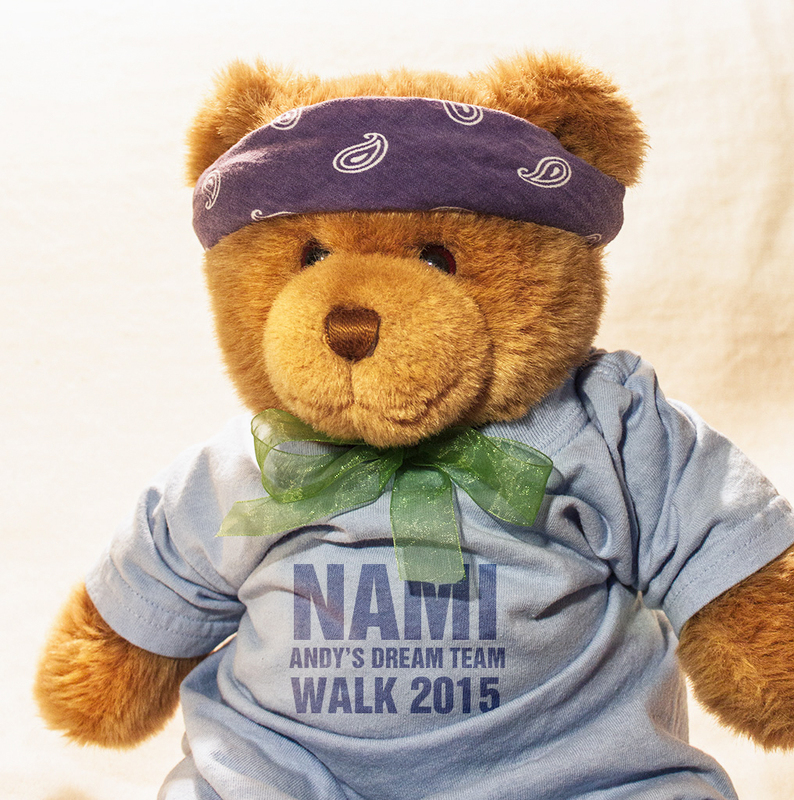 I will be walking again this year with my friends from NAMI North Central at the 2015 NAMI Walk on Saturday, May 16, at Artesani Park in Brighton, Massachusetts. Join us. Massachusetts Governor Charlie Baker made me mad when he submitted his new budget. So I wrote a letter to the editor of The Worcester Telegram. In some strange Turing Test, they published it today. When my teen-aged daughter first attempted suicide, the Collaborative Assessment Program came to her rescue and helped save her life by getting her hooked up with the Department of Mental Health. Later, when the Legislature cut that program for everyone except children of families with Mass Health, I told them it will be their fault every time the next kid with private health insurance dies because of their shortsightedness. They still haven’t fixed it. 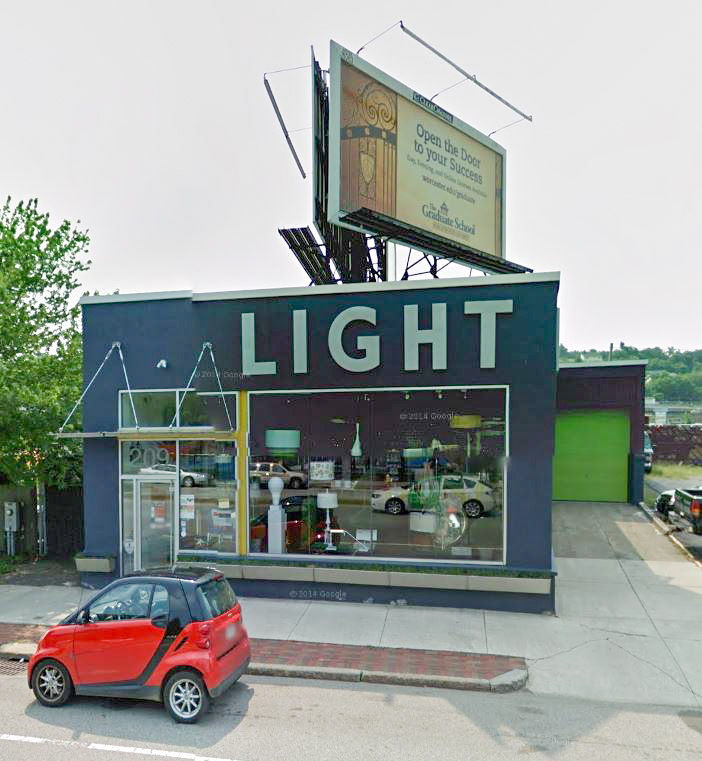 Now, years later, my no-longer-quite-so-suicidal daughter has found a safe and welcoming place at one of a small number of DMH-funded Recovery Learning Communities across the state. Here she has found innovative and cost-effective solutions, including peer supports and a hearing-voices group, a place to accept and find meaning in her voices — the very same voices that always come back no matter how hard the doctors and hospitals and their antipsychotics try to silence them. And here she finds the camaraderie of others, struggling, as she does, to remain in the community rather than locked away in some more terrible place. Now the governor wants to cut RLC funding by 50 percent. This seems to me like another shortsighted, unsafe, and, ultimately costly idea. Published in the Worcester Telegram & Gazette, April 23, 2015. 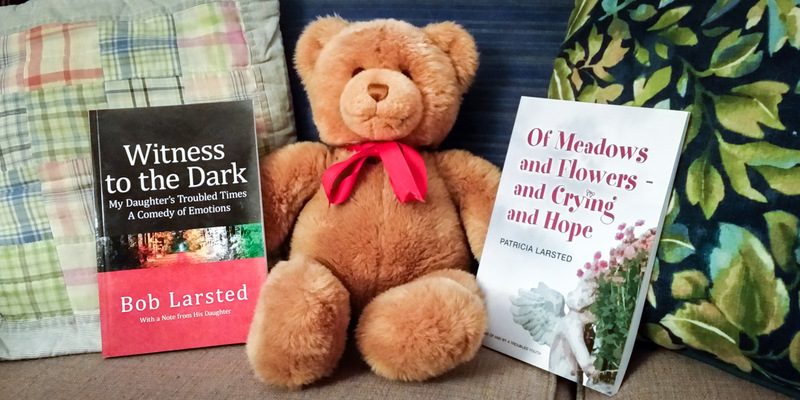 Join me in Holden as Patricia and I talk about her battle with anxiety, depression, bipolar, obsessive-compulsive, and schizoaffective disorders. Share our journey through the minefield of school, family, and today’s healthcare system as we struggled to find a way for her to survive, and, ultimately, thrive. I promise only a memorable experience. At previous talks we’ve had props, dramatic book readings, some giggles. And some tears. May is Mental Health Month. Patricia and I are working on scheduling some Central Massachusetts appearances. Stay tuned. 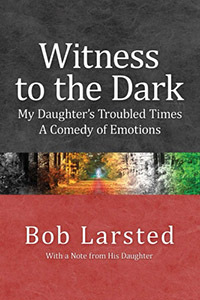 Bob and Patricia – A Special Author Event: Join me on Wednesday, September 17, 2014 at 7 pm at the Bigelow Free Public Library in Clinton, Massachusetts, as Patricia and I talk about her battle with anxiety, depression, bipolar, obsessive-compulsive, and schizoaffective disorders. Share our journey through the minefield of school, family, and today’s healthcare system as we struggled to find a way for her to survive, and, ultimately, thrive. It is free and open to the public. Here is the flyer.